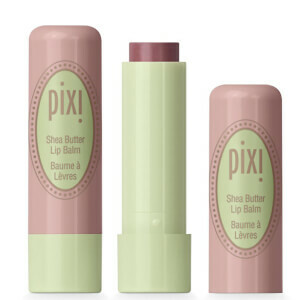 Smooth and refresh puffiness, fine lines and wrinkles from the delicate eye area with this 24K Eye Elixir from PIXI. The anti-fatigue peptide serum massages the eye area, preventing signs of fatigue and is enriched with Collagen that helps to repair the skin, peptides that plump fine lines, and raspberry that tones skin. Complete with a cooling rollerball applicator that soothes and encourages circulation around the eye. – E.W. Gently roll applicator under eye, from inner to outer corner, 2 to 3 times. For extra de-puffing, chill before use. It Works quite instantly and does refresh my tired eyes. Also, plumps up enough that wrinkles and fine lines look blurred up!